Who has not entertained a fantasy of quitting your job and living the simple life on a quiet tropical island? Living in a house you built by hand, surviving off the bounty of sea and land, warmed by the love of your family. If you’d like to ponder this particular dream a bit longer, pick up a copy of The Way We Were, a memoir by Andria D. Flax. 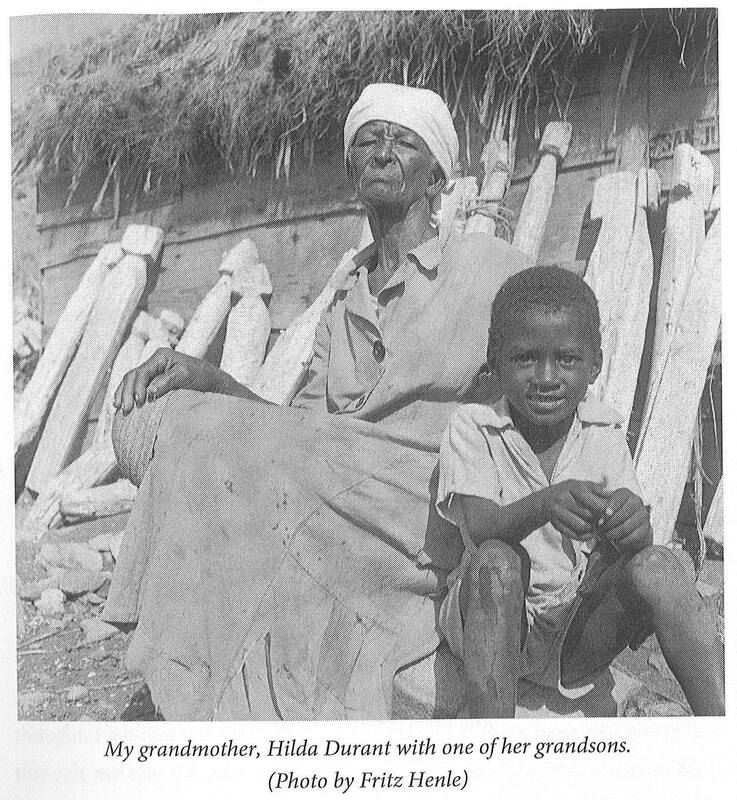 Mrs Flax was born and raised in the British Virgin Islands (‘blue blooded’, she says), descended from the “Cay People”, families who lived on the small ‘out islands’ of Peter, Salt, Cooper, Ginger and Norman. Beaches and bays where these families once fished, farmed, lived and loved now play host to fleets of charter yachts and beach-goers. Though raised in Road Town, Flax spent childhood summers with her extended family on Peter Island and her memories of this magical time drip with happiness. “What could be closer to heaven than waking up on a sunlit morning to the sound of tropical birds and the whistle of the wind, knowing that you are a member of one big, happy family, the only inhabitants of an island paradise?” What indeed. Flax’s book is the product of those summers on Peter Island, but it was born of a remarkable set of photographs. Fritz Henle was a gifted photographer whose career began in 1928 and whose work appeared in Life, Harpers, the New York Times and others. He was a fashion and travel photographer, sought out by celebrities such as Frieda Kahlo and Diego Rivera for portraits. Henle was prolific and published 19 volumes of work over his six-decade career. The resulting work gives life to these ancestors, and so much more. The first part of The Way We Were focuses on Peter Island. Flax describes Aunt Estelle, who doted on her husband Ned and who could throw fry nets and pull fish pots like a man while turning out exceptional meals, manufacturing shark and trunk (turtle) oil in the family kitchen, crocheting doilies in her quiet moments and keeping her home neat and tidy. Entrepreneurial Uncle Ned, a Puerto Rican who brought modern fishing methods to the island, grew grapes in a vineyard behind the house, raised chickens and kept bees. Flax describes afternoons spent on Harbour Bay, Aunt Estelle and Grandmother Hilda mending the fishing nets, picking sea grapes, roasting jacks and listening Roy Acuff, Ernest Tubb, and Tennessee Ernie Ford on Radio PJD2 from St. Maarten. And then the cry from the lookout: “Haul Away” and with lightening speed “every man, woman and child would rush to the rope stretched across the sand and pull with all their might. And pull harder.” It took strength, finesse and a myriad of techniques to capture the school of bonito or other silver fish within the net which provided the family’s livelihood. Evenings meant dinner, fish served with mayonnaise or butter sauce, cassava, green bananas, tannias, yams or boiled plantains. There were often chores to be done and occasional trips back to the bay to search for cherry-go crabs, which were boiled and the meat picked out. Some of the hired men who fished with Uncle Ned sang and played their ukuleles and mouth organs (harmonicas) and sometimes played cards. Children drifted to sleep to the sounds of singing or the symphony of the bo-peeps (frogs). Readers are almost as sorry as Flax when the summer ends and she and her siblings return to Road Town. But soon we are caught up in the routine of school, church, housework and play. The second part of The Way We Were looks in detail at the life that Flax knew as a child in the 1960s—the customs and traditions, the toys and games, the nature of schooling, church and community life. We meet her father, a boat captain and a stickler for time who was known to leave passengers on the dock when he “turned off like a bat out of hell exactly on the hour.” And there is her mother, who at Christmas time “would take night and make day”, working in the pre-dawn hours to be sure that the house was ready and the food prepared in time for the holiday celebration. Flax has a gift for language, and her use of traditional words and sayings is one of my favourite features of the book. Many of these expressions I have heard before, but to see them written down and placed in context is a pleasure, and Flax even gives us a glossary at the end. The evocative, colourful and common-sense way that Virgin Islanders express themselves in language says a great deal about their character as a people. I cannot neglect to mention as well the poetry which peppers the book. Flax told me that she considers herself a poet before a writer, and she breaks up her memoir with verse. Her poetry depicts memory, but also dwells in the territory of sadness and regret over the passage of time, the self-absorption of youth and the loss of history. While it is difficult not to share Flax’s sadness I find hope in the existence of her book, itself a vessel of history which has enlightened my understanding of the Virgin Islands and which I recommend to anyone who loves these islands. It may not be possible to re-create the past, but we can know it and love it and hold it dear which is the gift that Flax has given us with this book. The Way We Were by Andria D. Flax was published in 2010. The 262-page book is available on Tortola at The Beacon Bible Bookstore, National Educational Services Bookstore, HLSCC Bookstore and the St. Georges Episcopal Church Bookstore; on Virgin Gorda at Buck’s Food Market; on St. Thomas at Dockside Bookstore and in London at BVI House. 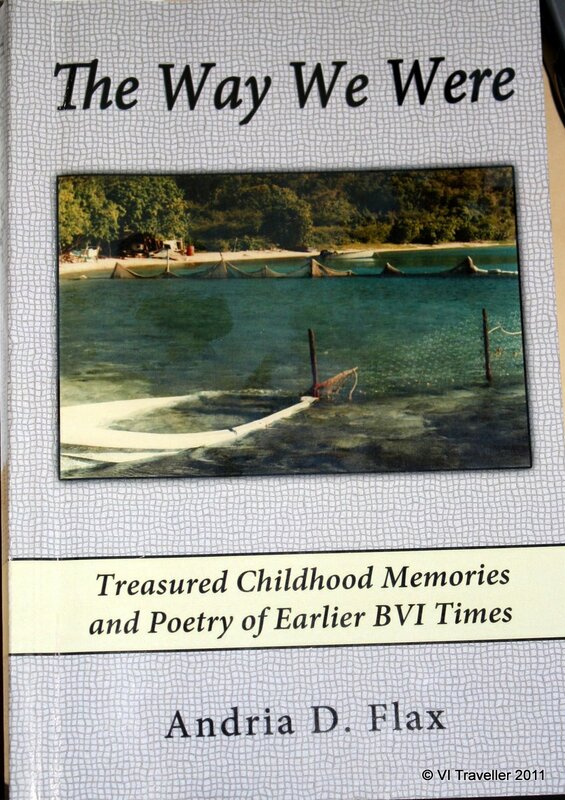 You may also order copies by contacting the author at whiswinds@surfbvi.com. Flax is also the author of Sharing the Vision, a book of poetry published in November 2010.